News: I am a contributor for HDROne.com which is a new online HDR photography magazine started by my friend Jimmy McIntyre. I will be contributing an article each month and the first one is live - go check it out and let me know your thoughts! 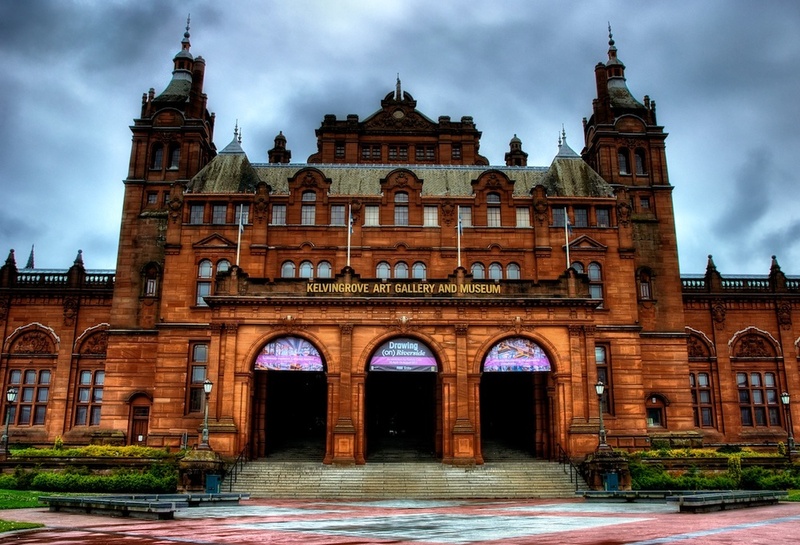 This is the front entrance to The Kelvingrove Art Gallery and Museum in Glasgow, Scotland. It's a wonderful museum and as you can plainly see, it's freaking huge. Being a fan of architecture, I shot the outside a lot, until the rain started, and then I went inside to explore. It's well worth your time if you are in Glasgow - whether you have a camera or not. There's a lot to see here! For processing, I opted to go with a little higher contrast and make it a little darker and more moody. As I said, it was raining and it just fits the photo in my opinion. Plus "dark and moody" is a good way to describe the weather that day!